Every year in April, Istanbul turns into the capital of tulips. This is when millions of bulbs show up in the parks and gardens of the city and transform old Constantinople into a flowery fairy tale. In 2017, more than 26.5 million tulips of 160 varieties were planted across Istanbul. 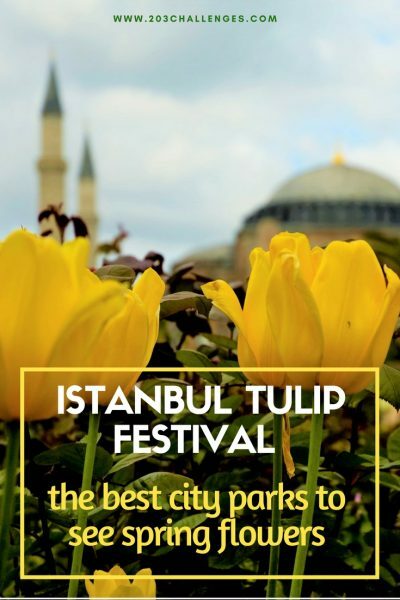 If you are visiting the colorful fiesta that is the Istanbul Tulip Festival, here’s some useful information on where to go and what to see. When do tulips in Istanbul bloom? 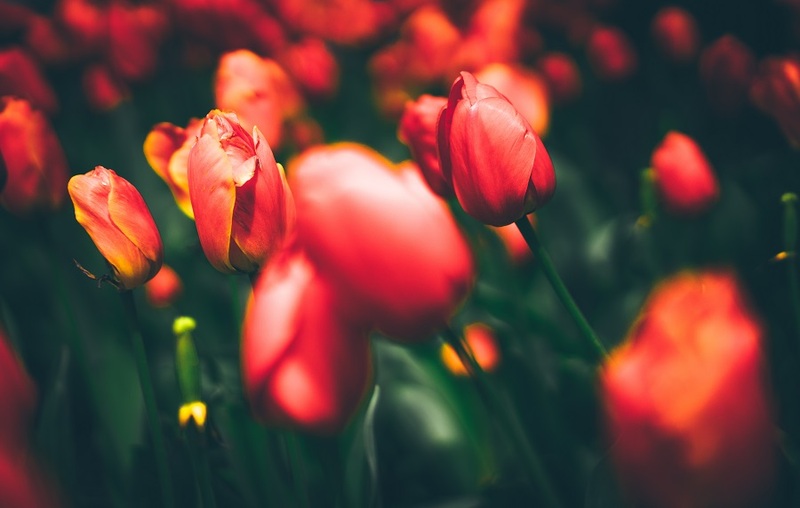 The exact date depends on the weather from year to year, but in general you can expect the tulips to start blooming at the end of March or the beginning of April. The flowers flourish for several weeks, until the beginning of May. What are the 2018 dates of the Istanbul Tulip Festival? Usually, the festival spans the whole month of April, in 2018 between 9 and 30 April. 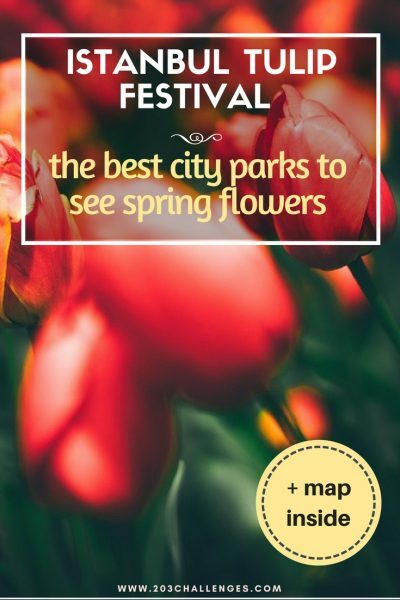 However, as you will see from the information below, you don’t need to plan your visit around any exact dates, as special events and brilliant spring flowers grace the city throughout the whole month. Although it’s called a ‘festival’, it would better be described as a rather loose series of events (like concerts, art workshops, and exhibitions) taking place mainly in Emirgan Park. The festival doesn’t have an official website, so the best way to discover what’s going on is to ask the staff at your hotel/hostel. Why is the tulip a symbol of Istanbul? 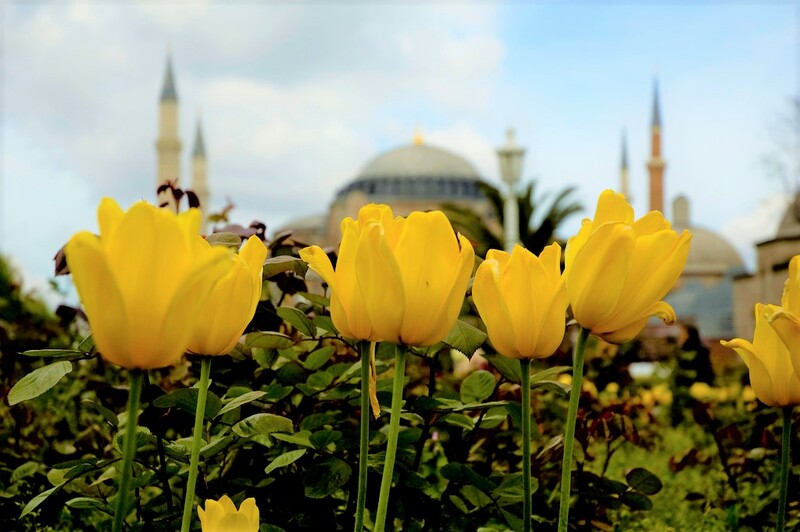 The tulip is one of the most recognizable symbols of Istanbul. The flower was imported centuries ago from Iran, and its arrival created a real fever among locals, who competed to grow the best and most unusual bulbs in their gardens. A rare bulb could cost an absolute fortune at the height of tulip popularity in the city. 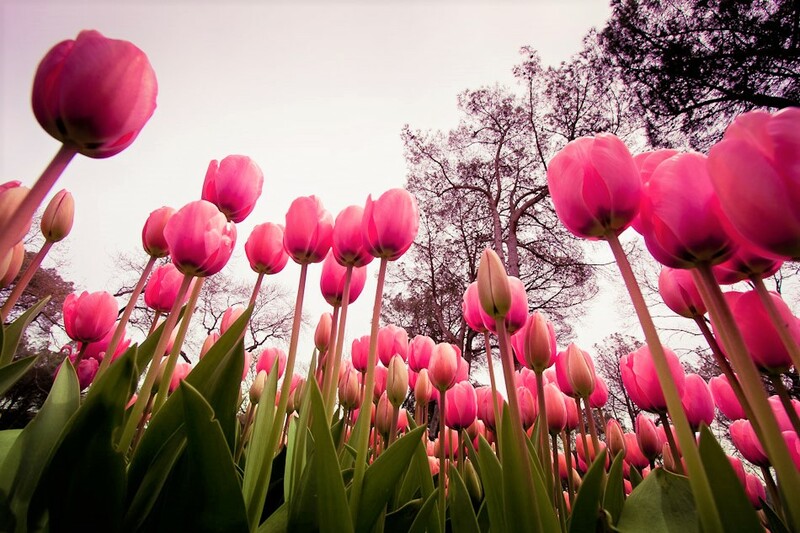 Tulips made their way from Istanbul to Europe where, especially in the Netherlands, they caused a similar craze. Which parks in Istanbul have the most beautiful tulip gardens? Emirgan Park (or Emirgan Korusu) – with its colorful pavilions, millions of tulips and other spring flowers, plus its stunning views over the Bosphorus, this park is the headquarters of the festival. Open stages pop up in April to host musicians, actors and other performers. You will also see traditional marble drawing demonstrations, calligraphy, glass blowing, and photo exhibitions. Göztepe Park – This is the other festival hot spot, with plenty of events on its schedule. It is located on the Asian side of Istanbul. Beykoz Korusu – This is another green oasis in the Asian part of Istanbul. Here you can enjoy relaxing walks along the Bosphorus, with the strait on one side and lush greenery on the other. Gülhane Park – More than a million tulips are planted here every spring. Yıldız Park – This park is located close to Yıldız Palace, hence the name. It used to be the sultan’s private hunting ground, but today its thick forest areas and Ottoman pavilions are open for visitors. Sultanahmet Square – The square next to Sultanahmet Mosque – one of the main attractions in Istanbul – turns into a carpet of flowers in spring. Çamlıca Hill – This hill is a secret part of Istanbul that few tourists ever visit. If you don’t mind a bit of a climb, you will be rewarded with the sight of thousands of tulips on the way up and a magnificent vista from the top.